While many children’s theater troupes tell stories to children, the Story Pirates believe every child has a story to tell. This arts and education, based in both New York and Los Angeles, organization exists entirely because of kids. The group of first-rate comedians and teaching artists uses stories written by elementary students as source material for over the-top musical comedy sketches. Adding songs, props, music videos and puppets, they bring to life on stage what children scribble down on paper. The Story Pirates won’t make you walk the plank; however, they will challenge your child's imagination and prove that his or her words are powerful tools worth celebrating. At a typical show, story topics run the gamut, from kung-fu ninja babies fighting crime to the eternal love between the devil and a guy she meets at Starbucks. It’s a world where cats sometimes fly and Tickle Monsters dominate the world. At every show, Story Pirates perform brand new stories by kids in the audience. Founded in 2003, Story Pirates has grown to reach hundreds of thousands of children each year all around the country. Through in-school creative writing workshops and assemblies that focus on the power of communication and self-expression, Story Pirates’ goal is to provide children with the tools to become confident, literate students, and to encourage them to develop into more thoughtful and passionate writers, in and out of school. I had the opportunity to attend the 3rd annual After School Special this weekend, a fundraiser in NYC at Peter Norton Symphony Space, for Story Pirates, and it was my family's introduction to the performers. This particular show also featured such celebrities as Jon Stewart, Ana Gasteyer (SNL) , Josh Gad (Book of Moron), rocker Lou Reed, and more. It was directed by Lee Overtree, with music composed and directed by the Eli Bolin. The theatre was packed, with kids and adults, and I loved knowing that the money raised was going to support such a cool artistic cause. The Story Pirates, including their band, are a hugely witty and talented troupe, and while it's hard to single out any particular skit, the one that stands out in my mind was short but hysterial. It featured Josh Gad (who has a lovely voice) singing the catchy tune about Ed who wets his bed. I still chuckle when I think of it. 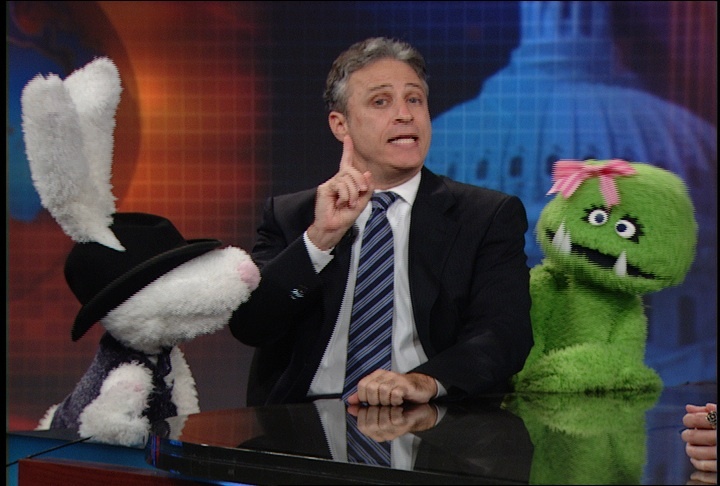 And, I always enjoy Jon Stewart and Ana Gasteyer, though I would have loved more of both of them. It was sweet to see them there with their respective children in the audience. If you have yet to experience Story Pirates, and your child has a love of writing and/or story telling, take note of their performance schedule below. Story Pirates works with over 150 schools each year from coast to coast. For more information, email: info@storypirates.org.or phone (347) 878-6798.